Dave Cousins, over at the Fifteen Days Without a Head blog, is listing his best reads for 2010. It's a great list, do have a look! I've been working on another sort of book list - New Year's Eve will complete the first decade of the 21st century and it's a significant decade for me because it was during this time that I discovered a burning desire to become a children's author. One of the odd things about becoming an author after years of trying is when you first do your taxes, you can claim expenses to do with trying to get published from seven years previous to publication. Luckily, Amazon kindly kept a record of all the books I bought inAnd the last decade ... and looking back on those receipts was a revelation. This was the decade when I learned to write novels. my Amazon account follows me from the first niggling of wishful thinking (I'd like to write like that) to when idea bubbles began to pop up above my head (OH! That's how you do it!). This is not so much a list of recommended reads as a list of ways to grow as a writer. 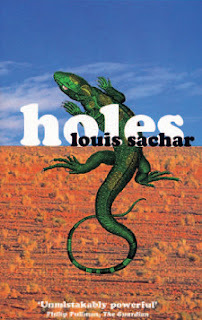 At the beginning of the decade, I read Holes, the Newbery winning novel by Louis Sachar which aligns the story of a boy accused of stealing a pair of basketball shoes and the story of the outlaw Kissin' Kate Barlow. It was funny, touching and heart-warming - written so sparely and yet with a distinctive ba-dum-tish! comedy about it. Oh, I thought, children's books can be like that? 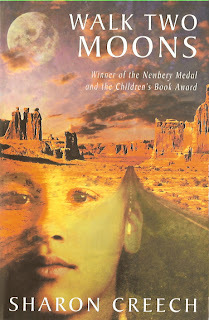 Very soon afterwards, I read Walk Two Moons, another Newbery medal winner, written by Sharon Creech. Creech is one of those writers who grab you by the collar and keep you grabbed, and yet her style is quiet and evocative. There is something of a journey in the way she plots - and always, a sense of grief, loss and cultural identity that I was drawn to. By the time I started reading Sharon Creech, I'd finished my first attempt at a novel. I called it Dead Cool - about how a boy finds himself living the life that a dying man sees flashing before his eyes. One moment he's a kid in North London, the next, he's parachuting into World War II. Cool idea I thought but an agent told me there was one big problem. It was set in the UK, with British characters. And how was an agent supposed to sell a British book written by a Filipino author? There's nothing of YOU in the book, she told me. Well, the truth was, I didn't think any publisher would be interested in a book with Filipino characters. And looking at all the white faces on the covers of books in the bookstore, I didn't think readers in the UK would be interested either. Until I read Hacker by Malorie Blackman. 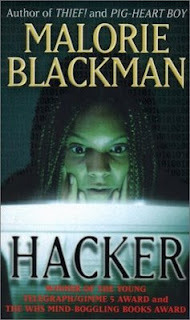 Okay, so Hacker isn't the most famous of books by Malorie who is now practically a national treasure in the UK. But the reason I picked up the book at the library was because it was the only one in sight with a black child on the cover (note: I am deliberately posting the actual covers of the books when I read them back then. Interestingly, Hacker no longer has a face on the cover). Hacker is an unputdownable thriller set in the early days of digital. And what struck me like a mallet on the head was that the characters' skin colour had nothing to do whatsoever with the story. They just happened to be black. Malorie has since become known for the revolutionary tables-turning Noughts and Crosses books - but I will always be grateful for Hacker - which gave me the permission to write about characters who were like me. 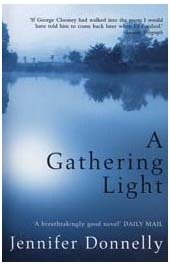 A Gathering Light by Jennifer Donnelly, published as A Northern Light in the US, was my first awareness of the new Young Adult genre. It's about a girl with a passion for reading and writing who must overcome huge cultural obstacles to follow her heart. If ever there was a coming of age novel, this was it. At the time, I was writing a lot of feature articles about the immigration phenomenon in the Philippines. I even wrote and presented a radio programme on the BBC called Motherless Nation about the children left behind by immigration. At its heart, A Gathering Light was about choices - or the lack of it. There was so much about the book that reminded me of the lives of women I'd met while working on those immigration features. Why do women leave the Philippines to work elsewhere? The answer lies in the choices that they think they have . 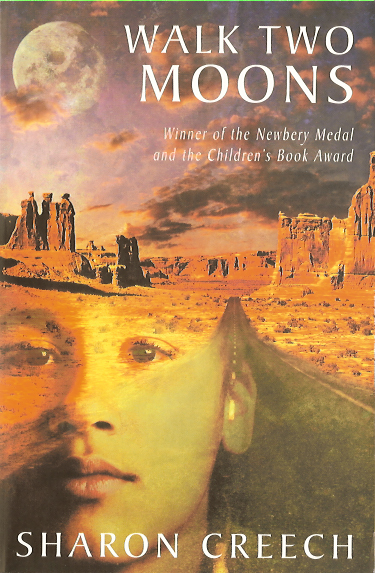 I wrote Volcano Child after Motherless Nation aired on Radio 4. Its plot can be summed up as A Gathering Light with a volcano - a young girl yearning for a mother who works on the other side of the world. And then she finds out that there is more to why her mother left than an empty wallet. It was with Volcano Child, I began to receive rejection letters of a better quality from agents - with personal notes, and enthusiasm for my writing. I was beginning to do some things right. But not quite enough to get an agent to sign me up. I first heard about Scott Westerfeld when he gave a talk in Bologna about inventing slang for his fantasy novels for teenagers. I promptly went out and acquired Uglies, his dystopian novel about a world where teenagers underwent mandatory cosmetic surgery at sixteen to be turned 'Pretty'. Naturally, teenagers being teenagers, some rebel and opt to remain Ugly. 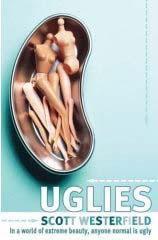 Uglies is part of a trilogy (Uglies, Pretties, Specials) that became a quartet. My very favourite has to be Extras, the fourth of the set, which is set in a world modelled on social media before the word social media was invented. 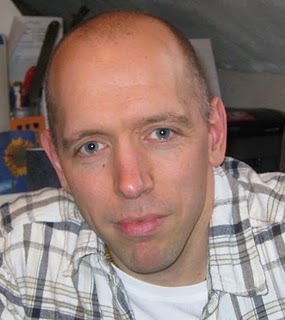 I think it was Scott Westerfeld who made me realize what an amazing readership I was writing for. Visiting his blog, I was struck by the number of comments he could muster - sometimes hundreds - from his teenage readers. I was also struck by his huge respect for young people and how they responded to that respect by become even more awesome. I also learned about fantasy and world-building. It was probably no coincidence that the book I wrote after reading the Uglies books was called Ugly City - about a city state in which parents must leave and children must stay - it's the law. But no, it was not a rip-off of Uglies - like Volcano Child, Ugly City was based on my reportage about immigration. I met some kids in Manila who had everything - Playstation, Gameboys, flatscreen TV - but their parents were working as cleaners abroad and they fended for themselves. I was struck by how these kids thought they were so lucky. Ugly City went on to win the Undiscovered Voices anthology competition in 2008 which led to my signing with my agent. I still carry The White Darkness around in my bag so that I can dip into it at will. 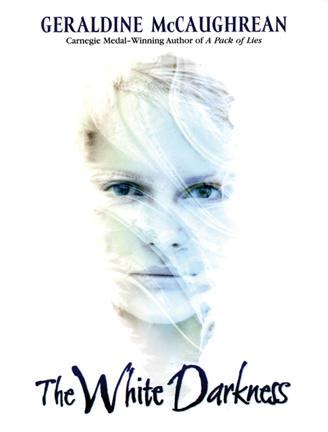 The book by Geraldine McCaughrean is about a partially deaf girl who finds herself fighting for survival in Antartica with a long dead polar explorer as an imaginary friend. What I love about it is the sheer virtuosity of the writing. Everytime I dip into it, I get ideas. Ah, this would be a great way to build a character. Here is how to write an ending. Here's how to set a scene. McCaughrean's writing is sheer genius. 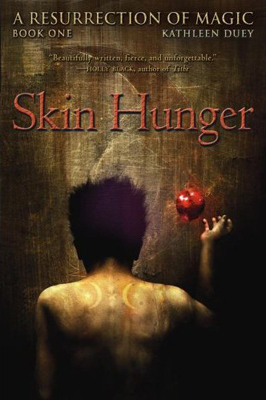 I read Skin Hunger by Kathleen Duey after meeting her in another conference in Bologna. In a keynote speech, Kathleen talked about minding where you shined your spotlight in every scene that you wrote, how exposition can drag the spotlight away from the dramatic point you are trying to make. After reading Duey's books, I took a pair of virtual scissors to my writing, slashed away at exposition and armed myself with Duey's eyedropper. Duey should be required reading for anybody struggling with exposition. If I listed all the most inspiring books I've ever read here, it would be the longest blog post ever written. But this is not that kind of list. These books genuinely changed my writing. What are your life-changing reads? Oh wow, what a brilliant list - and what a wonderful blog topic! May just have to copy you, sort of...! Great idea! If you blog about it - post the link here! I'd love to see what books shaped other people's writing. Love the topic and your insightful comments. No wonder you are now a published author. Fascinating blog Candy (Holes is the only one of these I have read. The others are now being added to my wish list) There are so many books I have read that have floored me, inspired me and shown me how well stories can be told (one of which you might be quite familiar with!) I like the fact that you carry The White Darkness around to dip into – I have books like that – books that have the power to refuel, reassure or simply remind me why I wanted to write in the first place. Great stuff and thanks for the mention. And I am so sorry to say I haven't read any. And I haven't been reading anything. Except Tall Story! But I think I will use this list to launch my back-to-reading campaign. And I love The White Darkness, too...! thanks all! hello, kathleen! Kathy, I thought it was great you titled your post 'Book Markers' because these really are markers to the development of my craft. Kathy's list had Bog Child by Siobhan Dowd because 'A cracking story from an author who died too soon. This book taught me not to waste time.' - I dithered about adding Siobhan's Swift Pure Cry, which is up there on my list of the best books I've ever read ... but I went for A Gathering Light because it was the one that made me want to write coming-of-age novels. But I so agree - Siobhan's untimely death - such a talented writer - did make me realize I had to get on with my writing. There is no time like now. My daughter has created me a blog for Christmas in her effort to drag the old dinosaur on to the sunlit uplands of technology. I shall take lessons from you and your followers in how to blog. It made me to start to think of when I first met you and I think I sort of met you several years ago when I was doing my MA in Writing for Children and attended my first SCBWIs conference at Winchester in 2006. You have inspired me to keep going and to continually hone my craft. Thank you Candy. I almost fell off the bed when I saw that Geraldine McCaughrean was commenting on my blog! Wow! Must collect self and avoid slobbering. Geraldine - I've always thought your dinosaurhood added to the mystique. I think you will find that blogging will not only raise your profile - and build a new audience for your amazing books - but will bring you a world of support and generousity from other blogging writers. You may think you had no strategies but you taught me SO MUCH. Thank you. And as for agents (and editors) - the world out there is changing so fast many of them don't really know what they want. All we as writers can do is write the best books we can. Great idea for a blog post although I'll have to wait a few more years to make my own ten year list. Thank you for bringing my attention to some intriguing books - yet more to add to my reading list!! And, Candy, even though you are already an inspiration to many, may your writing career be long and fruitful and inspiring to an ever growing number of writers and readers alike. Feel the need to curtsey to Geraldine McCaughrean - and also to add that White Darkness was on my longer list ( how many times have we talked about that book Candy??) - as was Peter Pan in Scarlet - that book taught me there are always new places to go with characters - I was worried I'd hate it, being a Peter Pan fan - and I ADORED it. Candy, your list is a worthy one! And I share your love of Holes, and Gathering Light, and appreciate the Uglies series. I haven't read the others - though White Darkness has been on my list for a while (and I resolve to read it, soon). Yet, I would also say on this topic, that some books that perhaps aren't the very best, are the ones I've learned from? (but I'd hesitate to blog on same!). I have to wear a dress? Have been trying to force Daughter to read The White Darkness for years. Have now given up. Just popped by to do a bit of procrastination. Geraldine - don't do it! You'll end up spending far too much time on your blog instead of writing your wonderful books! My favourite is The Kite Rider by the way, but I loved White Darkness as well. Candy, I've only read three of your seven, just goes to show how many wonderful books there are out there. I'd put Toby Alone and No and Me up there, two lovely books in translation. And The Selected Works of T S Spivet and the wonderful Chaos Walking and The Railway Children and about a hundred more - there is such a wealth of faboulous children's writing out there. Could go on, but I don't have a blog of my own and I'm not getting one because I'm supposed to be WRITING!! @Jackie - The Kite Rider has one of the best openings I've ever read: "Gou Haoyou knew that his father's spirit lived among the clouds. For he head seen him go up there with a soul, and come down again without one." ... and as for not having a blog, fancy blogging about your influences over at Notes from the Slushpile? You know you want to. @Teri - I kept this list to books that gave me AHA moments! @bookwitch - yes, another black one with pointy hat will do. A really thought-provoking blog, Candy. A Gathering Light, Walk Two Moons, Holes, White Darkness... I absolutely love them, and every great book teaches us so much about the craft of writing. There's such a wealth of rich reading out there - just not enough time in the day! Oh I just had to have a go! Thanks Candy for getting this particular snowball rolling. Such a lot of other books to read from everyone. Great list of books! Love the new template! This is a great post, Candy - so interesting to see how those books shaped you as a writer. I read A Gathering Light and The White Darkness on your recommendation and they would both be in my YA top ten - absolutely stunning writing.